The author, Esther Kaplan, makes some valid arguments about the dangers of work monitoring software. Throughout the article, time tracking and workplace monitoring is portrayed as a very one-sided tool companies use to eliminate costs at the expense of their employees, using the data to keep employees from being classified as full-time or receiving benefits. Unfortunately, however, the article only tells part of the story. Without a doubt, abuses of time tracking software do occur and good people do pay the price. When properly and ethically used however, time tracking software can actually be very beneficial to employer and employee alike. How so? What are some of the ways that time tracking can benefit both parties? A major shift occurred in the 20th Century in terms of the workforce, with the rise of the “knowledge worker.” In the modern workplace, the most valuable commodity is not a person’s labor, but the knowledge they possess. For the average business, however, it can be a real challenge to understand how such a worker contributes to the company’s bottom line. For example, if a computer programmer works on multiple software projects within a company and some of the code he writes for Project A is also used in Project B, how much did Project B really cost? What is the value of the resulting software? Proper time and project tracking software can help companies understand and account for the contributions of their employees, despite the more challenging metrics by which those contributions must now be measured. Another important benefit of time and project tracking is having a clear understanding of the true cost of a given project. According to McKinsey & Company, large IT projects run an average of 45 percent over budget and as much as 7 percent over time. Even worse, the affected projects deliver only 56 percent of their projected value. This is where proper time and project tracking can make a big difference. By properly tracking past projects, a company can more accurately predict the cost of future projects. This, in turn, helps reduce the risk of the company going over budget or losing money on a project. This is especially true as companies learn to interpret data, recognize trends and act accordingly. For example, if a company specializes in a particular kind of project and completes a dozen similar projects in a row, they should be able to use the data and milestones from those projects to see how the next project is going. If they are 10 percent through the project but five percent past the budget milestone of the previous dozen projects, they can make adjustments before it’s too late. An often-overlooked benefit of proper time and project tracking is better resource allocation. For example, a company may have a customer that seemingly hogs resources, ties up the best personnel and generally makes a pest of themselves. There may be those in the company who advocate letting go of such a customer in favor of less problematic ones. Time and project accounting, however, may show that while the customer takes up 20 percent of the company’s resources, it generates 40 percent of the company revenue. That information may help everyone have a new found appreciation of that customer and may even help alter how the company approaches them. Perhaps, rather than pulling people away from that customer, it would be beneficial to devote even more resources and increase the ROI. Another aspect of resource allocation is proper logistics support. When a company can have reliable data on which customers, projects and departments are generating the most revenue, it can help identify where individuals and departments are being crippled by outdated equipment, procedures and the like. Another significant benefit of automated time tracking is the time and effort it can save a company’s payroll and billing operations. Rather than manually processing timesheets, the right software can automate the process. This can be a significant savings as the payroll personnel don’t have to waste valuable time running down mistakes or reminding employees to submit their timesheets. For the employee, an automated system can mean more time spent actually working rather than dealing with a tedious, frustrating and time-consuming timesheet system just to get paid. As the above shows, time and project tracking can be a valuable tool a company can use to streamline operations, improve estimates and properly allocate resources. When that happens, a company can generate more profit, enjoy increased stability, offer better pay and benefits; all without doing so at the expense of the employees. The key is to recognize time and project tracking for what it is: a powerful tool. It’s not inherently evil, nor is it inherently good. Like all powerful tools, it will either help or hurt people depending on how it’s used and the motivations of the business owners, executives and managers who use it. While, obviously, a proponent of time tracking, I have always emphasized the need for management to use time tracking tools in a responsible and ethical way. 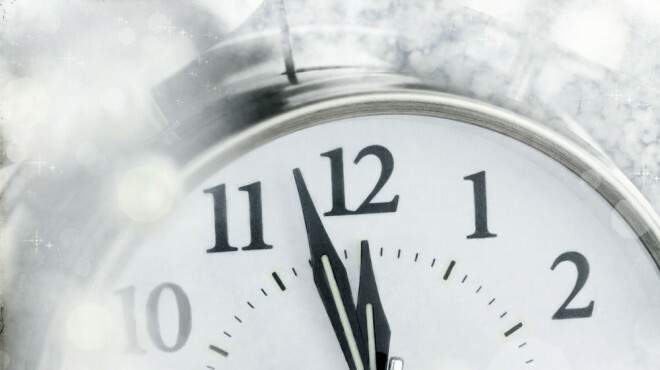 “The most obvious reason for an owner or executive to keep track of their time is the boost in motivation it provides to the rest of the company. This is especially important with a topic that’s often met with as much resistance as time tracking. If the owner or executive of a company sets the lead in tracking his or her own time, it can be a powerful motivator toward helping employees to do the same and overcome the negative stigma time tracking can sometimes have. When properly used, time tracking does not demoralize employees and squeeze every last minute out of them. Proper use of time and project tracking software helps companies streamline their operations, not by exploiting their employees, but by improving project estimation, management, billing and resource allocation. If more companies used time and project management software the way it should be used, responsibly and ethically and for the benefit of company and employee alike, Ms. Kaplan’s article would no doubt have had a far different tenor. Baltimore businesses are dealing with riots, looting and violence — as well as a citywide curfew imposed on April 28 — following civil unrest stemming from the suspicious death of a 25-year-old black man while in police custody. Because of the curfew, enforced within Baltimore City between 10 p.m. and 5 a.m., restaurants and other places need to close earlier than usual. In addition, some business owners have chosen to temporarily close down — either as a precautionary measure or in response to vandalism — until the curfew’s end, slated for this coming Monday. Synergy HomeCare is based in Towson, Maryland, and serves residents in Baltimore City and County. While it is located outside the city, it employs caregivers who reside in the city. Still the company has felt minimal impact from the curfew and Diamond says his ability to provide services was not curtailed. Two Men and a Truck employee Clinton Brockenbrough loads boxes being evacuated in response to the Baltimore crisis. “They were reluctant to leave their houses so we reassigned two cases,” Diamond said, adding that this wasn’t a problem as the company always has backup personnel in the event a caregiver can’t work on a given night. “We did become more proactive,” he added. Company personnel called employees early to see who was available to work in the event that additional staff members were needed. 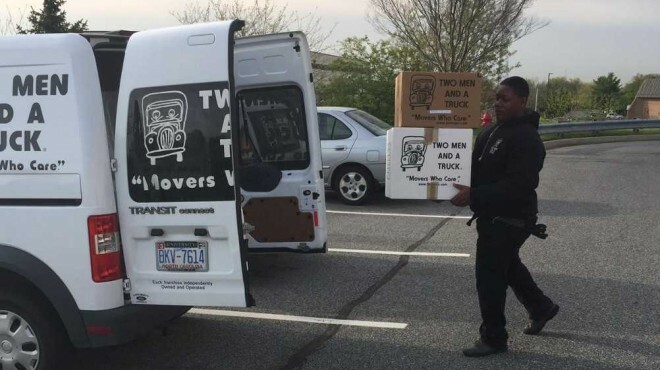 Two Men and a Truck, a moving-service company that also offers storage solution options, temporarily relocated its headquarters following the eruption of protests this week. “There was violence one mile away from us,” said Lori Geros, operations manager for the company, which moved from the Baltimore area to Columbia, Maryland, to share space in a partner company’s facility. The protests interrupted the company’s operations for about a day or two, Geros said. While the company lost some business due to cancellations, most customers rescheduled. The curfew didn’t pose a problem for the company, as moving is typically done during the daytime. Geros watches the news steadily, however, and also regularly checks social media sites Facebook and Twitter for updates. “Until the curfew is lifted, there is a threat,” she said. Of some concern is speculation that the looting and violence could begin again based on whatever information is released tomorrow regarding the results of the investigation into the April 19 death of Freddie Gray. Gray, a 25-year-old black man, suffered a fatal spinal cord injury while in police custody. “Things have calmed down, but we’re being very cautious,” she said. 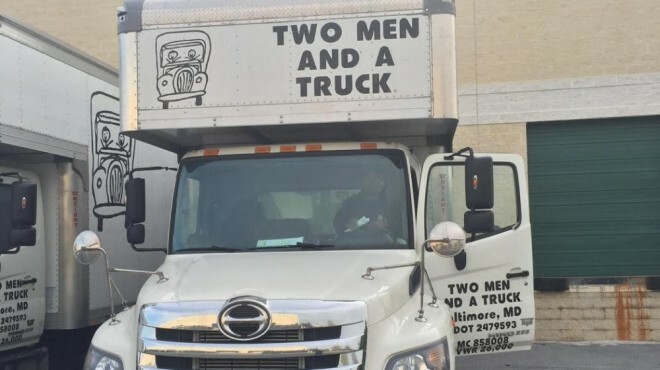 Two Men and a Truck is already planning to help clean up Baltimore once the protesting ends. Some of his sponsors operate inside the city of Baltimore. He is speaking to many of them as the situation there develops. Overall, none of his sponsors experienced looting or violence, he said. Some were even benefiting, though at a cost to other businesses, he noted. The owner of a liquor store told him that sales have increased significantly since the curfew was imposed. “The bars have to close early,” Tacelosky said, adding that some people apparently are purchasing liquor to consume in the safety of their homes since they can’t visit a bar. Another sponsor of Our Town America is the Ultimate Play Zone, a family entertainment destination that describes itself as “11,000 square feet of pure, clean fun.” It features inflatable play stations. Ultimate Play Zone is allowing children under age 6 free admittance on Monday. “Families are their core business,” he said. He believes other sponsors will make similar gestures as well as provide help with any rebuilding and cleanup efforts required. There’s a revolution happening within the fashion industry. And big brands and high-profile designers aren’t the ones leading the way. Instead it’s a series of startups and independent designers with quality, sustainably, and ethical manufacturing on their minds. Fast fashion, which is the cornerstone of many major fashion brands, relies on quick, cheap manufacturing methods. That makes it possible to offer trendy, runway-inspired styles at extremely low prices. But it doesn’t come without some drawbacks. In fact, the movement was originally launched to honor the anniversary of a factory collapse in Bangladesh, where 1,133 people were killed and about 2,500 more were injured. The factory created fabrics that were used by some large retailers including JC Penney, Zara and Children’s Place. But because so many of those large brands use such extensive supply chains to source their materials, they don’t always even know where all of their materials come from. 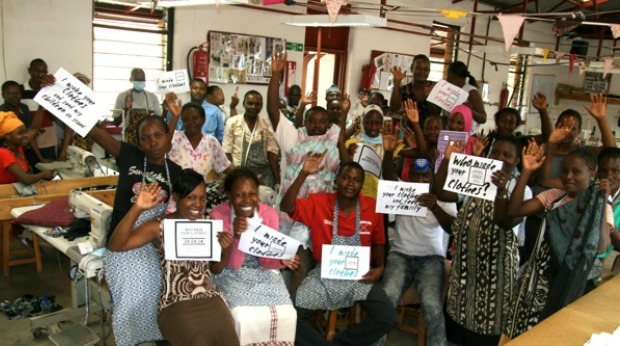 The Fashion Revolution wants to change that and create more transparency in the industry. For some fashion brands, this type of movement could force some changes. But that would require a lot of consumers to get involved and demand more ethical and sustainable manufacturing practices. For brands like Zady, which source materials and items from independent makers and other ethical sources, the movement could call some attention to them from consumers who are concerned about where their fashion comes from. Bulgarian power distributors and heating utilities are seeking double-digit hikes in prices for end consumers from July, Nova TV reported on Thursday. The heating utility supplying hot water to the city of Plovdiv is seeking the highest increase among its peers, by more than 30%. The heating utility in Sofia has proposed to Bulgaria’s energy regulator KEVR to allow it to raise the prices of hot water and central heating by 17.5%. Power distributors CEZ Bulgaria and Energo-Pro are seeking a 25% rise in night-time tariffs only, while EVN Bulgaria has asked for an increase of about 8% in electricity prices for end consumers, Nova TV said. The head of the energy regulator Ivan Ivanov told Nova that KEVR is to rule on the demands of the companies within two months. Bulgaria’s consolidated budget showed a surplus of BGN 257.1 M at the end of March, equivalent to 0.3 % of the GDP projected for 2015, the Finance Ministry said on Thursday. This compared with a consolidated budget deficit of BGN 874 M at the end of the first quarter of last year. “Compared to end-March 2014, the budget position has improved by 1.4 % of GDP,” the Finance Ministry said in a statement. The surplus at the end of March 2015 - the first surplus recorded in the first quarter of the year since 2009 – comprised a surplus of BGN 156.2 M under the national budget and a surplus of BGN 100.9 M under EU funds. “The higher revenues continue to be the main factor for the improvement of the budget balance, while expenditures develop as provided for in the fiscal framework. The rate of revenue growth significantly outpaces the rate of expenditure growth which results in the reported budget balance improvement,” according to the statement. Consolidated revenues and grants totalled BGN 7.8 B, or 25.7 % of the 2015 plan, at the end of March. Compared to the same period of 2014 revenues and grants have increased by BGN 1.2 B, or 18.6 %. Tax revenues have risen by 14.2% year-on-year in nominal terms, reaching BGN 5.9 B at the end of March, which is 24.7% of the 2015 plan. “The highest growth is reported in indirect tax revenues, followed by revenues from social security and health insurance contributions,” according to the statement. VAT revenues have increased by BGN 352 M, reaching BGN 1.97 B or 25.4% of the annual plan. Excise duty revenues have risen by 11.1 % on the year, reaching BGN 950 M, or 22.7 % of the 2015 plan. Custom duties revenues have grown by 12.5% and totalled BGN 39.4 M at the end of March 2015, or 27.2 % of the annual plan. Consolidated budget spending, including Bulgaria’s contribution of BGN 302 M to the EU budget, totalled BGN 7.5 B at the end of March, or 23 % of the annual plan. This compared with BGN 7.45 B in consolidated budget spending a year earlier, which was equivalent to 23% of the 2014 plan. Bulgaria’s fiscal reserve totalled BGN 11.1 B at the end of March, including BGN 10.1 B in deposits with the central bank and banks and BGN 1.0 B in receivables under EU funds. You are currently browsing the Business, finances, forex blog archives for April, 2015.